Some bathrooms lack enough towel holders so you end up hanging your towel over something like the shower door. 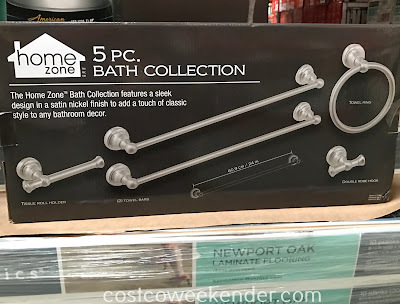 Fortunately, the Home Zone 5-Piece Bath Collection from Costco comes with 2 24-inch towel bars plus a towel ring. 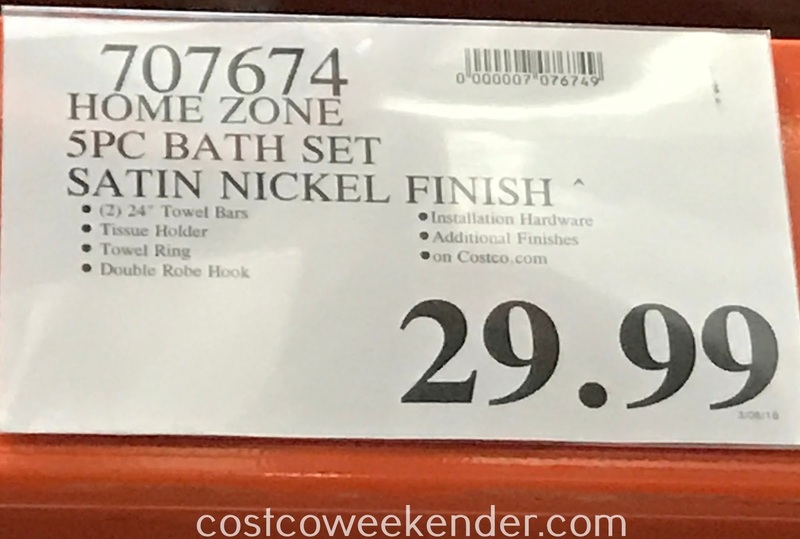 The set also comes with a double robe hook that you can install behind your door. I'm not sure why more people don't place two hooks there. The more the better right? 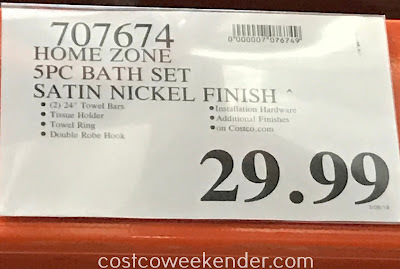 I like the satin nickel finish that adds a modern look as opposed to something with a gold finish. 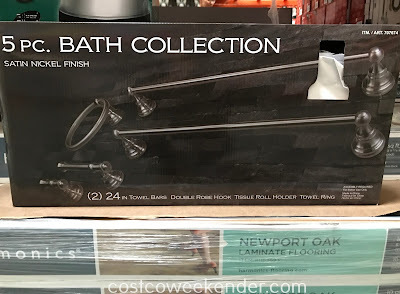 But the design still adds a classic look to your bathroom. 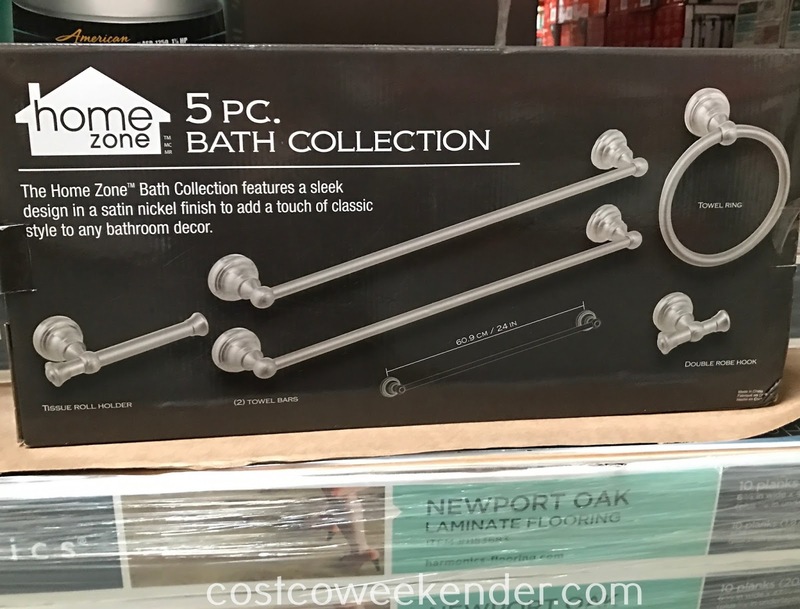 So if you're looking to give your bathroom a new look, consider the Home Zone 5-Piece Bath Collection. 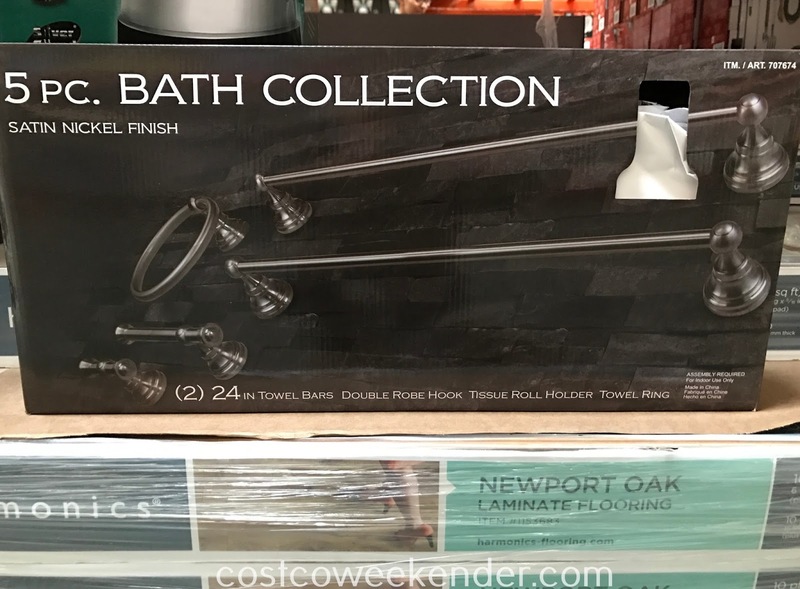 The Home Bath Collection features a sleek design in a satin nickel finish to add a touch of classic style to any bathroom decor.